Zenon-Media have successfully tested the Audinate Dante Virtual Soundcard. With this Driver you can directly connect to an Dante Audio Network for play out and record until 64 channels. No physically Audio card is needed, only install the Virtual Soundcard and you are ready! (see https://www.audinate.com/images/PDF/Dante_Virtual_Soundcard_27-oct-2011.pdf ). There are many devices that are part of Dante Audio Network, like DHD, Yamaha, Soundcraft, Shure, Allen & Heath and many more (for a full list see https://www.audinate.com/index.php?option=com_content&view=article&id=188 ). Zenon-Media is using the advanced ASIO Driver technology. With the unique Zenon-Diff Service our solutions can connect to any ASIO Driver without limitation of application access, limited channel or single Soundcards (as well as AoIP cards). 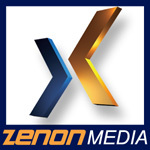 Zenon-Media Supports also AXIA's LiveWire and WheatNet from Wheatstone. And of course all ASIO Soundcards! Remember: for Mixing Desk connections such like AXIA, DHD, LAWO, Studer or WheatStone, there is also an IP Connection for Mixer Control in Zenon-Media Automation....since years!